Lotta Type Bs in this cast. I’m not even sure why blood type is being referenced at all. That stuff hasn’t been relevant since last century. Because the Japanese do it all the time, and it was fun to do it the same way. I guess I had noticed that, but I’m not sure why they do it either. July 1st. Missed it by *that* much. It would have been ironic if he’d been born on July 4th considering he wasn’t born in the U.S. 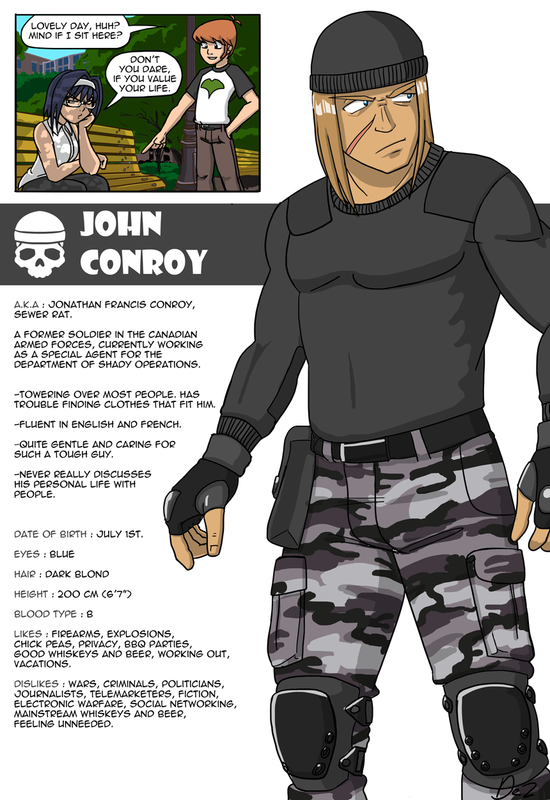 He kind of reminds me of the soldier character from Read or Die, which is awesome.